Fratin was a versatile sculptor who created many sculptures of both wild and domestic animals including a few of goats. His works are well modeled with a rough texture that is unique to his style. 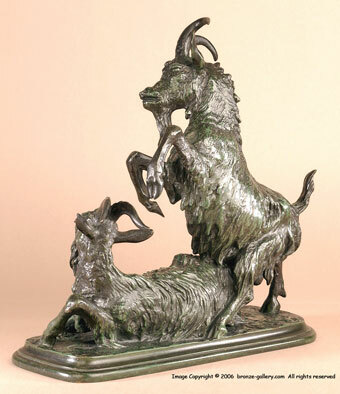 This amusing group shows a Billy Goat cavorting around a Nanny Goat that is lying down. It is a rare model with much detail in the shaggy fur of the Goats, and it has a rich dark green and black patina. i>Les Animaliers by Jane Horswell, pg. 88. 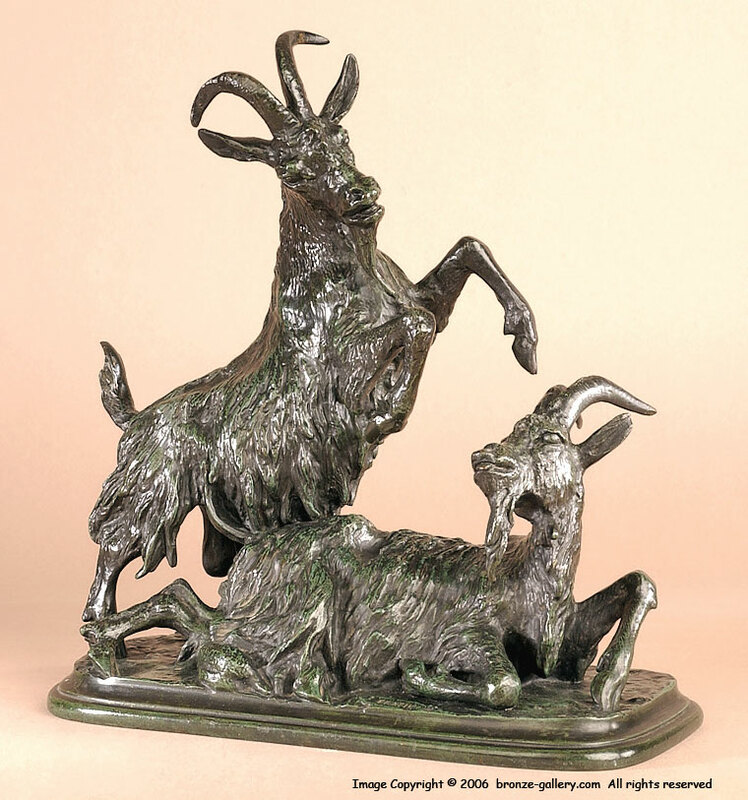 Animals in Bronze by Christopher Payne, pg. 134.